Do you want to know who is benefitting from your kind gifts? Thanks to our small size, we are able to regularly report where your donation goes and what difference it makes. 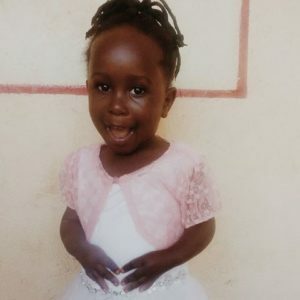 We are starting today by presenting our new sponsored student – Elizabeth, who thanks to her Swedish sponsor Malin are able to start preschool any day now! Previous PostPrevious Film about My Afrika Volunteers is out! Next PostNext Full activity at the Center during last week’s school break!